Lillard has been an absolute wonder to watch so far this season. Whether he’s passing on the pick-and-roll, or taking the ball to the hoop, Lillard has been very impressive with one of the oldest plays in the book, and it has helped him to an early season stat line of 19.3 ppg and 8.0 apg, both tops among rookies. Lillard has already taken on a long list of worthy opponents, including the Lakers, Thunder, and Clippers, and has proven that he’s ready to run with the big boys. 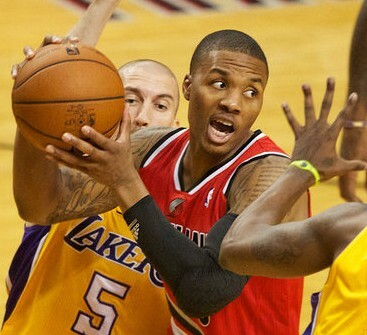 Once the game continues to slow down for him, it will be amazing to see what Lillard can really do. I guess there is plenty reason to fear the Brow. Davis has impressed in the early going of his career, averaging 14.5 ppg and 6.5 rpg. Add in the 1.5 bpg that he is averaging, and Davis is living up to the hype that many expected from him. A mild concussion has kept him out of most of the Hornets’ contests, but once cleared, expect Davis to go right back to his shot-blocking ways. This is easily the surprise of the week for NBA Rookie Class. While most assumed that Waiters was over-drafted at No. 4 by the Cavaliers, especially after the Summer League and Preseason performances that Waiters had, Dion has be quick to prove his doubters wrong. Through five games, the Cavs newest shooter is averaging 15.4 ppg as well as 2.6 apg. While the secondary numbers aren’t the most impressive, if Waiters continues to score (i.e. 28 points vs. Clippers, 10-of-17 FG, 7-of-11 3PT), I don’t think that Cavs fans will mind very much. After taking time last year to continue to work on his skills overseas, America (well, Canada, actually) is getting its first look at Valanciunas, and Toronto fans couldn’t be happier. Valanciunas is doing something that hasn’t been seen by a Raptors big man in quite a long time: playing defense. While the defensive numbers aren’t there yet (only 0.8 bpg), Valanciunas is contributing with 8.0 ppg and 5.0 rpg to a very young Toronto squad. Yet Jonas’ biggest attribute to the team is his defense, and regardless of the numbers, he should continue to see plenty of minutes in Dwayne Casey’s system. Dallas’ dreaded man has contributed immediately to a Mavericks team that has needed him to do so. A second-round pick, Crowder has already started this season (in place of the injured Shawn Marion), and could be fighting for starters minutes by season end if the Mavs’ season turns sour. Crowder’s numbers of 8.6 ppg and 3.0 rpg aren’t breathtaking, yet his efficiency has been: 50% from the field and 50% from three-point land. Expect Crowder to continue to impact the Mavericks with his high energy, and crazy-awesome hair. Davis’ Kentucky teammate Kidd-Gilchrist finds himself slightly lower than his former Wildcat, yet MKG is establishing himself nicely on a young Charlotte team. MKG has been able to come in and provide high-energy immediately, something that Charlotte is desperate for. Kidd-Gilchrist’s numbers (8.0 ppg, 6.7 rpg, 1.7 spg, & 2.0 bpg) aren’t as impressive offensively as some would expect from a No. 2 overall pick, but his defense (i.e. 1.7 spg & 2.0 bpg) are incredible. If Kidd-Gilchrist can keep those numbers, expect them to translate to more offensive opportunities, and a few votes for Defensive Player of the Year down the road. Singler, our second super-rookie (second year rookie with first year playing experience) to make the list, has played well in the early season. The Duke product is averaging 9.4 ppg and 2.8 rpg off the bench for a Detroit team that is still searching for answers. 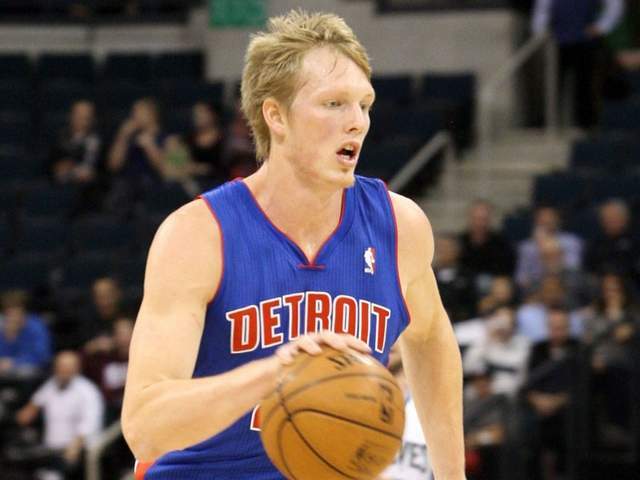 Singler’s most impressive asset to the Pistons this year has been his three-point shooting, where he is shooting 45.5%. Should the Motown team continue to struggle, head coach Lawrence Frank may look to give Singler a few starts in due time. Sullinger’s season began on the bench after starting much of the preseason for the Celtics. Yet, after an 0-2 start for the team, Doc Rivers placed Sullinger in the starting line-up, and the C’s have gone 2-0 since. While Sullinger’s numbers haven’t been jaw-dropping (4.0 ppg, 4.8 rpg), he’s carried himself well, especially while having Kevin Garnett barking out orders on the court. Sullinger’s numbers will continue to rise as his confidence and self-awareness on the court do too, and he may be moving up this list with ease by midseason. Beal, who was taken before Waiters in the Draft at No. 3 overall, has struggled some early in the season. While the numbers look decent from the outside (8.7 ppg and 2.3 apg), Beal’s field-goal percentage has been quite the opposite (.286). Beal has the added pressure of trying to make up for the lack of John Wall early for the Wizards and has had to face a difficult Celtics team twice already. Expect both sets of numbers (averages and percentages) to rise with some time, patience, and the return of John Wall. While the numbers aren’t anything to write home to mother about (8.8 ppg, 1.8 rpg, 1.8 apg), especially for someone who was dropping buckets back at UNC, Barnes has adjusted to the NBA well. He’s started in all five contests for the Warriors, and his percentages are decent (48% FG, 30% 3PT). Once Barnes gains more confidence in his abilities at the next level, expect all of these numbers to rise. Barnes is a talented shooter whose confidence is key to his overall play.